Though fictional, those who know the story of Jason Bourne can relate to the importance of the lifelong puzzle identity that falls into place one piece at a time. Discovering who I was with all the dynamic factors in play that were ‘out of synch’ with others from my country of birth. 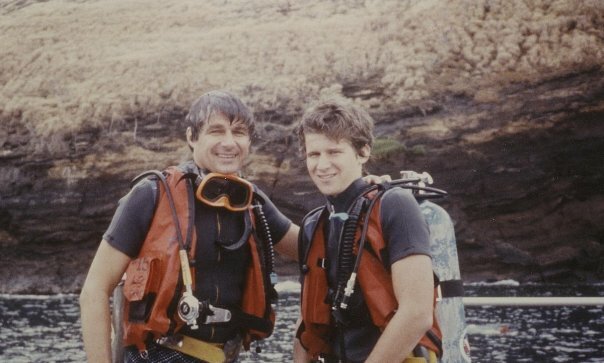 Left America when I was nine, with my Dad. 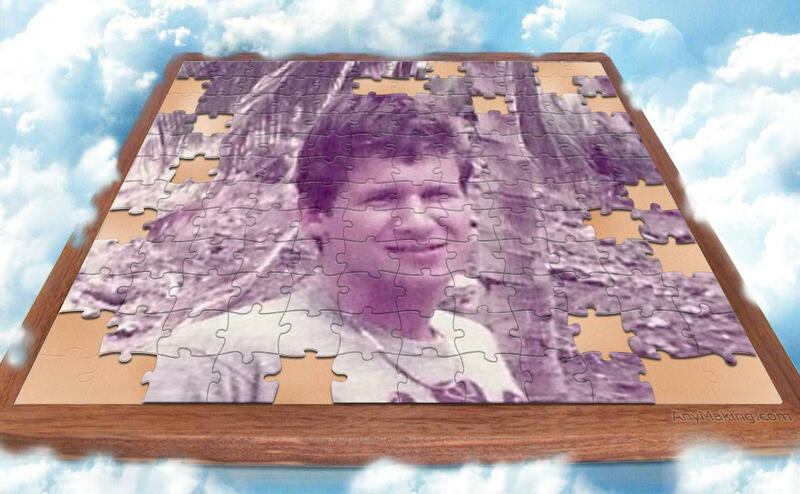 Family split apart in more ways than one; new puzzle pieces being made and unknown at the time. Akin to the finding his identity in the Bourne series, the thought crossed my mind “Someone started all this, and I’m going to find them.” (The Bourne Ultimatum). Who did this? Who took my identity? Where was it? Did not have to look far, it was my own flesh and blood leaving vague memories of my young childhood with my parents behind. Now as an adult ‘Third Culture Kid’ with the vantage point of insight, as I look at the mosaic of who I am, what did I find all those years growing up in Asia as a Third Culture Kid (TCK)? Actually, puzzle pieces of identity that make up my mosaic; would not live without them. Not going to change who I am. I wrote last summer about the issue of home “So, where are you from?” which addresses the unsettling question that face TCKs, namely where (and what) is home. Growing up among worlds, not easy to address let alone think of one in the first place. Closely related to that is the issue of identity, it can be equally if not more so unsettling. TCKs can also struggle with reverse culture shock, rootlessness, and loss. Some of the ways you can tell if someone is a TCK? Here are some clues (from tckid.com). The term “Third Culture Kids” (TCKs), what does it mean? Been confused as a term for someone from a Third World Country, which it is not. The term was coined by Sociologist and Anthropologist Ruth Hill Useem in the early 1950s and defined as “…a person who has spent a significant part of his or her developmental years outside their parents’ culture. 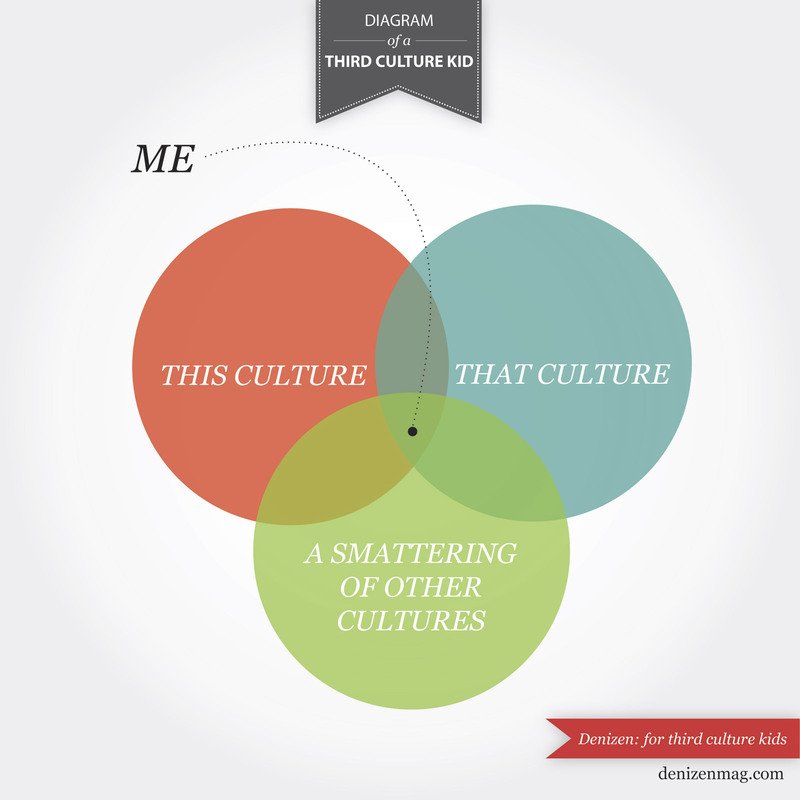 The third culture kid builds relationships to all the cultures, while not having full ownership in any. Although elements from each culture are assimilated into the third culture kid’s life experience, the sense of belonging is in relationship to others of the same background, other TCKs.” The diagram of a TCK below, courtesy of Denizen Magazine, says it well. When adults enter a new culture they usually maintain a solid identification with their own, indigenous culture. However as their children grow up, they naturally, and even unconsciously, integrate elements of the parent and host country culture into a third; hence the term TCK. As I child I could relate to both my Dad’s culture and the Asian one I was growing up in. As I interact with other TCKs, it does not take long to realize that it is akin to being from the island of misfit toys. Just thinking about various schoolmates and friends of mine, name any country and/or background and you will probably be right. Still in touch with a school mate born in Argentina, became a U.S. citizen as a child, however grew up in Singapore and Puerto Rico. Another schoolmate, of Asian background, parents spent significant time in Great Britain before coming to Singapore. Others? Saw a good friend last month had not seen since our school days. Her parents are German, and she and her siblings grew up in Indonesia, England, and Singapore; our fathers were business colleagues. 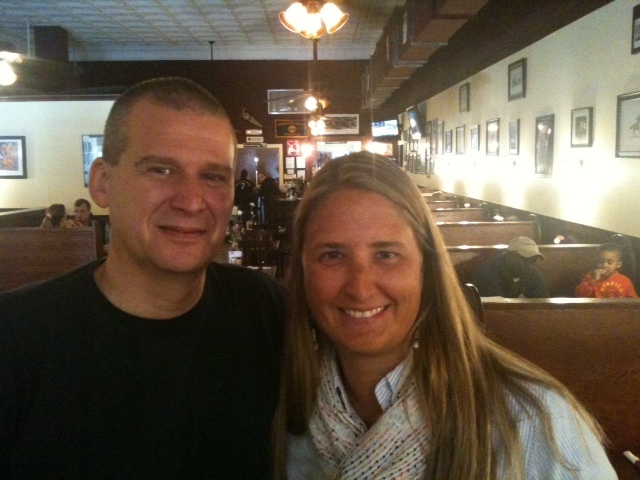 Having spent the last 20 years in Europe, she and her husband (who is Swiss) are now moving to America. Our conversations were in English, however she also speaks German, French, Russian, and Spanish. Family that became family to us in Singapore and looked after me as a young lad, Singaporeans who immigrated from Bombay, India. Another two great family friends that are married, wife is Singaporean of Chinese descent and husband is from New Zealand. 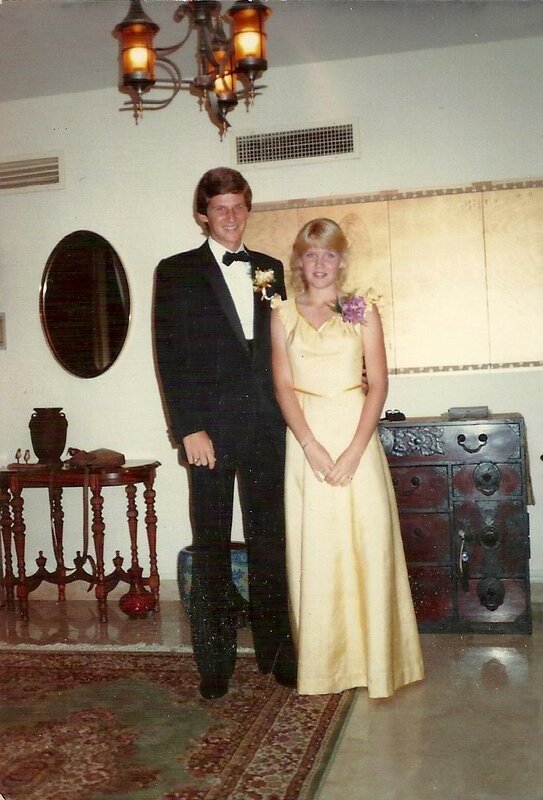 Oh, yes, how can I forget…my senior prom date? Born in Sweden; she and her husband (and 2 sons) now live back in Stockholm after spending some time living in Asia. Recently corresponded with a connection of mine who was born in Malaysia, has a German mother and Thai father (he speaks 6 languages), went to university in the U.K. and spent significant time there, and is now living in Hawaii. As we spoke about our backgrounds, including speaking Malay back and forth, was reminded that squares with round edges tend to get each other. TCKs do that very well, namely having an affinity and getting each other. Just as people from the same hometown do. Life situations, have to be experienced to be appreciated. There is no other way. For TCKs, same goes as numerous studies have borne (no pun intended) out. * When it comes to to growing up, tend to be more independent and autonomous due to the nature of mobility however may feel ‘out of synch’ with peers of home culture. How about relationships? TCKs tend to be independent and self-reliant, and value relationships yet are are also guarded due to relationships lost. Parlez-vous français? Many speak more than one language yet limited in any one language as not entirely fluent. Associated with language and due to experience, see more similarities with people around the world than differences and may feel confused as to where loyalties lie. Though may have a rich cultural background, TCKs also seen as ‘hidden immigrants’ where nomadic history is not recognized. TCKs are also quite adaptable, flexible, and confident with change with a sharpened perspective of life. However, that feeling of rootlessness that home is elsewhere can linger. What else? Empathy for others as having been through transitions and been there, know how to put closure to one phase and move on to a new one. That said, may brush off the pain without dealing with it. Another trait I have noticed in knowing other TCKs is the tough mindedness and ability to survive and not just cope with change, rather thrive from it. Any of these sound familiar? In context of the above, the stories in this video may resonate with you. A good source of information and online home for TCKs can be found at tckid.com. Another TCK short documentary put together by a fellow high school alumnus, Adrian Bautista is also a worthy watch. As you navigate and face adopting another country, perhaps yet again, do you find yourself running in search of who you are? Rather than be on the run searching, why not embrace it. Be it the island of misfit toys or squares with round edges, I have come to appreciate the traits developed as a TCK growing up in Asia. I had to learn to be resourceful at a young age and adapt to my new environment quickly. This adaptability helped form a sense of adventure that has always been there and I could not live without it. Always up for it anytime, anywhere. Be it trekking and seeing Mt. Everest with my own eyes in Nepal, night diving in the South China Sea, wandering the jungle ‘countryside’ of Malaysia and Indonesia, seeing elephants as a matter of course on the side of the road in Sri Lanka, having a ‘move slow and stare’ contest with a Komodo Dragon, or simply enjoying my version of fast food. There are no ordinary lives, yours is no exception. Each a colorful mosaic including experiences, relationships, lessons, and adventures for you to define. As the puzzle of my identity continues to come together full of varied life experiences and adventures that seeks to learn from others and looks ahead, hope this encourages you to do the same. Embrace being a TCK; be ‘at home’ with it and who you are. Though “Where are you from?” may seem unsettling, it is a great tradeoff. Home is not just a place, it is a person. My TCK puzzle pieces, though imperfect and ‘out of synch’, sure fit perfectly. There are many others awaiting to see your TCK mosaic as it is lived out. It will be a welcome sight, and will be looking for it when you are home. Terima Kasih and appreciate your comment. Great insight as I have learned that errors can sometimes lead us to new discoveries; best to you!